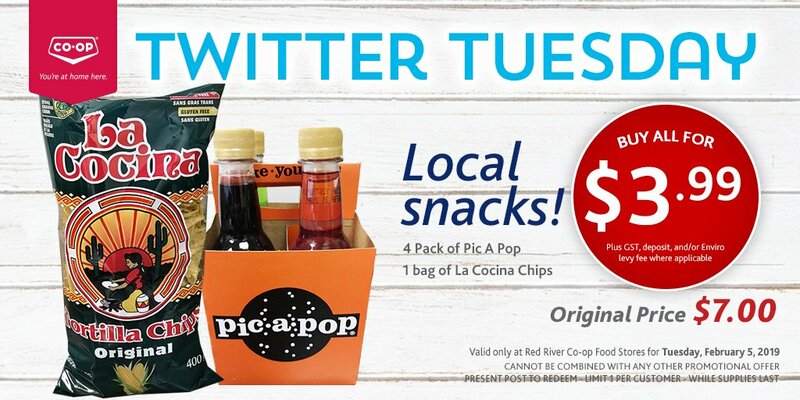 It’s Tuesday – time for a deal from Red River Coop foodstores. 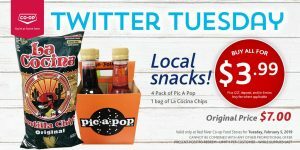 Today only, you can get 4 pic a pops and a bag of La Cocina chips for $4. It’s one deal per person and easy to redeem – just show the picture at checkout.